Bhopal : Madhya Pradesh Congress chief Kamal Nath met Governor Anandiben Patel on Wednesday and staked his party's claim to form the next government in the state. "We have staked claim," he told reporters after the meeting at Raj Bhavan. Asked who would be the Chief Minister, Kamal Nath shot back: "I don't know." 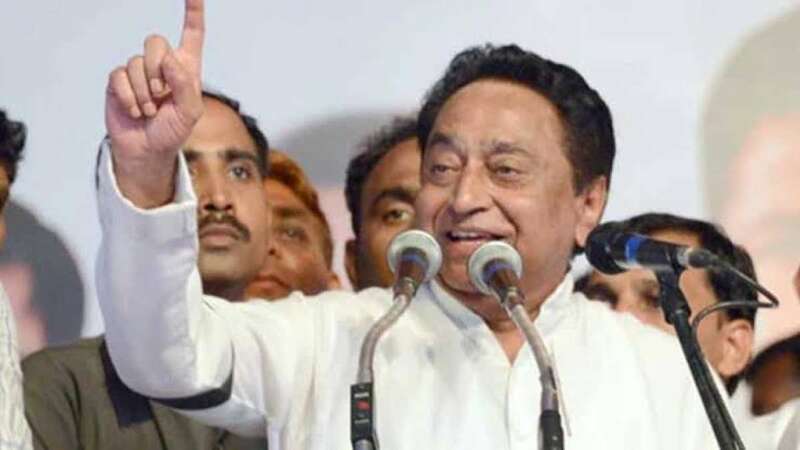 Late on Tuesday, Kamal Nath wrote to the Governor urging her to give him an appointment so that he could stake claim as the Congress had emerged as the single largest party in the Assembly with "majority support". The Congress won 114 seats, two short of a majority in the 230-member house. After the meeting with the Governor, Lok Sabha member and Congress leader Jyotiraditya Scindia said "of course it would be a privilege" when he was asked whether he would like to be the Chief Minister. He said the Congress, which has won 114 seats, has the legislative majority with the backing of all four Independents and three MLAs of BSP and SP. Scindia, one of the contenders for chief ministership, also attacked outgoing Chief Minister Shivraj Singh Chouhan. "You were claiming that BJP is going to win 200 seats this time. Even if we count all the BJP seats in all five states, the party has not crossed the 200 mark," he said. Earlier on Wednesday, Kamal Nath said the top priority of new Congress government will be to work for "farmers and unemployed youth". He said this after meeting the outgoing Chief Minister. He added: "We have to create a new environment of trust in Madhya Pradesh." Asked about the farm loan waiver promised by the party within 10 days of taking power, he said: "Let the government be formed first." Before meeting the Governor, Kamal Nath described Chouhan as "my friend" and said "he fought a good election". Meanwhile, Chouhan tendered his resignation to the Governor taking moral responsibility for the party's electoral loss in the state. "Ab mai mukt hoon. (Now I am free)... The responsibility of defeat is totally mine," Chouhan said. "No one has got the mandate. Since we have also not got the mandate, we did not stake claim to form the government," Chouhan added.